Top waterproof makeup for legs! This revolutionary waterproof leg make-up is suitable for swimming and perfectly conceals any blemish or imperfection on legs and body, such as varicose veins, stretch marks, phlebitis, vitiligo, scars, burns, dark marks, sun spots, moles, bruises and tattoos. 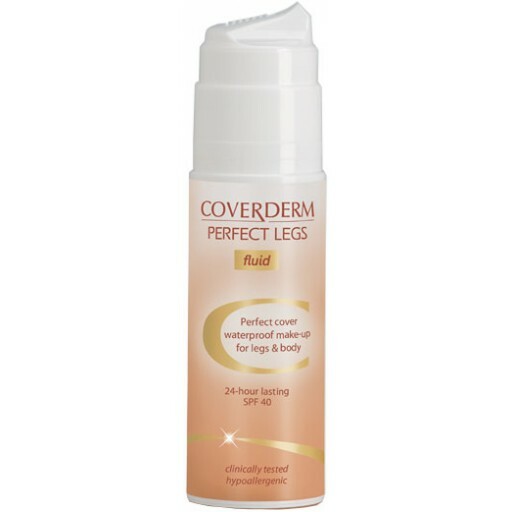 Coverderm Perfect Legs Fluidis smudge-proof, magically staying on without clogging the pores and without "breaking" or "streaking", even under extremely harsh conditions such as any sports activity, including swimming. 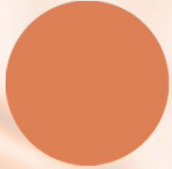 It is hypoallergenic and can safely used every day on all skin types. 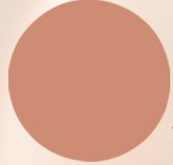 Perfect Legs is a unique body makeup presented in an easy to apply fluid texture. It can be used on any part of the body to conceal perfectly any major or minor skin imperfections like: varicose veins, scars, stretch-marks, burns, vitiligo, tattoos, dark spots and blemishes. Can I use it every day? Perfect Legs is hypoallergenic is ideal to protect all sensitive skin areas from the harmful UVA-UVB sun rays on a daily basis. Is it visible to others? 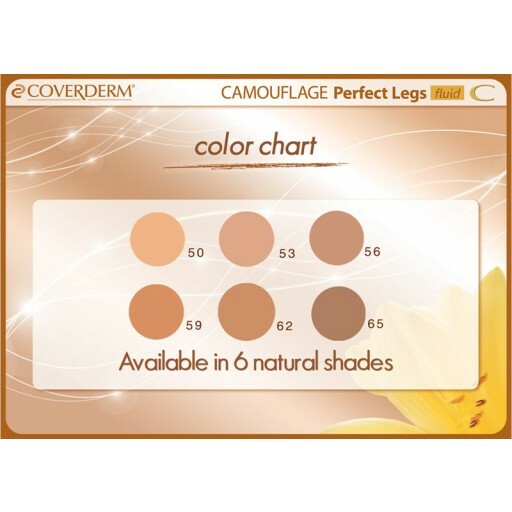 Perfect Legs conceals any skin imperfection with a natural looking effect. It discreetly stays on all day long without "cracking" or streaking even while sunbathing. Can I swim with Perfect Legs on? You can safely swim for as long as you wish! Perfect Legs is 100% waterproof and does not wear off even during swimming (or any other sport activities), keeping your legs and body younger-looking and more beautiful than ever. To cover any imperfections on legs and body apply Perfect Legs and spread with your fingertips. 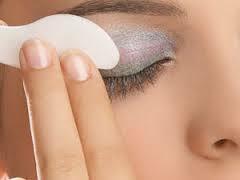 For a perfect finish, press the covered area with a damp tissue, then allow it to dry for 2-3 minutes. If your legs or body need extra moisture, mix the desired amount of body lotion with the Perfect Legs and massage it in. I've had a mastectomy & reconstruction on my left breast. I have a scar line which can be seen in bathers. 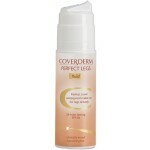 I've been told that your Coverderm Perfect Legs works really well to hide the scar. I want to order it but can't work out which colour would be suitable. I can't afford to buy it & then find the colour isn't suitable. Can you advise me as to what you think I can do. Thankyou. 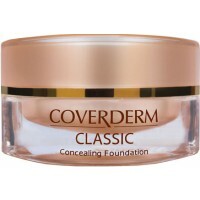 Smooth , even finish , good coverage, easy to apply & long lasting wear. I find this product relatively quick & easy to apply . 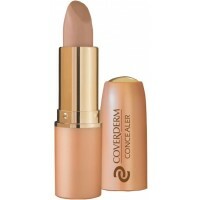 It gives a smooth & even finish , with good camouflage of any imperfections & long lasting wear. If heavy soaping & scrubbing of legs in the shower is avoided, following application & replaced with a gentle, water only spray, it is possible to retain the coverage for 48 hours. The product works best with exposed legs & loose clothing,, as it does tend to rub off onto tight jeans & fitted clothing. If this occurs, however, it does wash off fabric easily. I have very fair skin and have always felt uncomfortable in swim wear, shorts, dresses and skirts. Recently I went to the Great Barrier Reef and used this product on my arms and legs. It stayed on even whilst swimming in the ocean and gave my skin a nice golden glow covering most of my blemishes and reducing the appearance of my spider veins. I felt comfortable wearing swimmers and showing my skin. I made sure my skin was moisturised before applying the product so it spreads more easily. On dry skin it can be difficult to spread and blend. 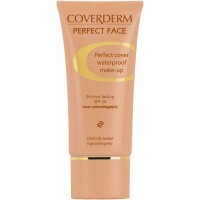 Thankfully CoverDerm was recommended to me by a pharmacist. For the first time in years I wore dresses during the hot summer. I found this product excellent for bad spider veins around the knees. It covers well and stays on for several days if you're gentle with it in the shower. For summer dresses you must spread it all over the leg down and over the front of the foot when wearing sandals. I have had a little rubbing but only where pressure is applied while sitting against a chair for example, with care this is not a problem. My only issue is the colour range. I have colour # 2 but cannot match it with the colour chart. Can you help? Dear Sharon, Thank you for your feedback. 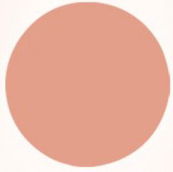 I had a look at the Perfect Legs cream colour chart and compared to the Perfect Legs Fluid colour chart and the closest one to No. 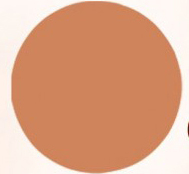 2 cream seemed to be the Fluid in shade no 56. It is not a perfect match, but this one seemed to be the closest to it. I hope this will help you reach a decision. Although this product had good coverage to hide spider veins etc it was slow drying and rubbed off onto everything that brushed passed it. Dear Annette, Thank you for your feedback. Did you try mixing the product with some body moisturiser and then massaging it into your skin? We found that this way the product is more easily absorbed (dries faster, too) and did not rub off the clothes. Please let us know how you go if you try it.